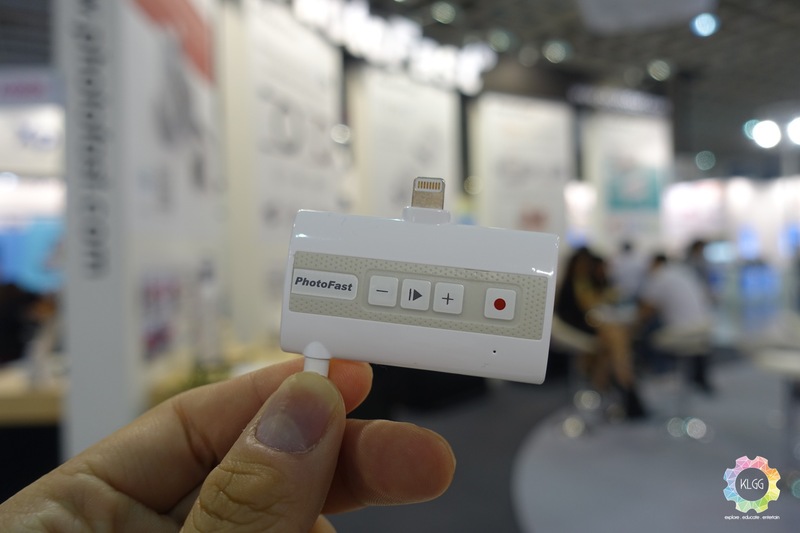 At the Computex show floor, everything seems to be the same after walking hall after hall, and we happen to discover neat little gadget at the PhotoFast booth, which is simply called the PhotoFast Call Recorder. 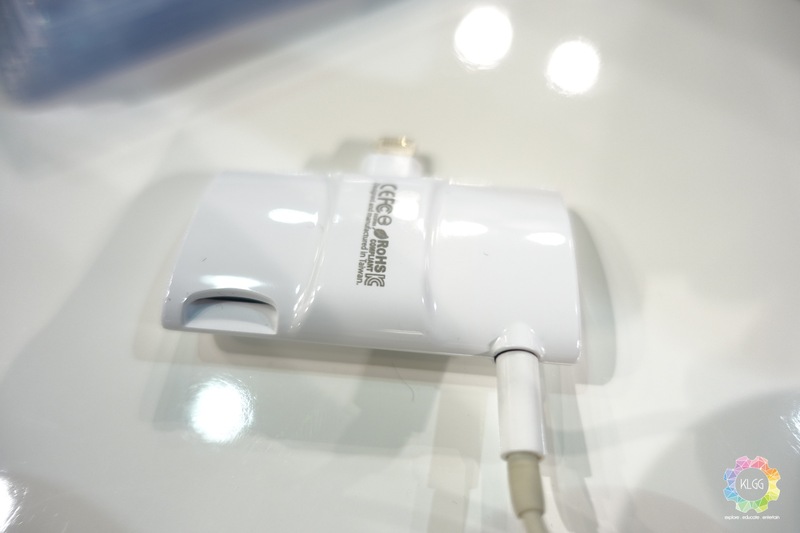 Designed to work with the iPhone with a Lightning connector, the Call Recorder is a MFi-certified gadget announced at PhotoFast’s Computex press conference today, it records your conversations made over the phone app and supports other social messaging apps, such as WhatsApp, Line, WeChat, Viber, Messenger and Skype. In addition, it even gives your iPhone a classic 3.5mm headphone jack and a MicroSD card slot for storing your recorded calls. To record a conversation, users will be required to press the Record button on the front to start recording, the audio recording quality is supported up to uncompressed 48KHz PCM file format, which is great for those who doesn’t want to miss out anything on spoken conversation. Users can download the free Call Recorder+ app from the App Store to access their voice recordings, which is able to show information of the caller, do edits on recordings, and even secure them with a 4-digit PIN if required. 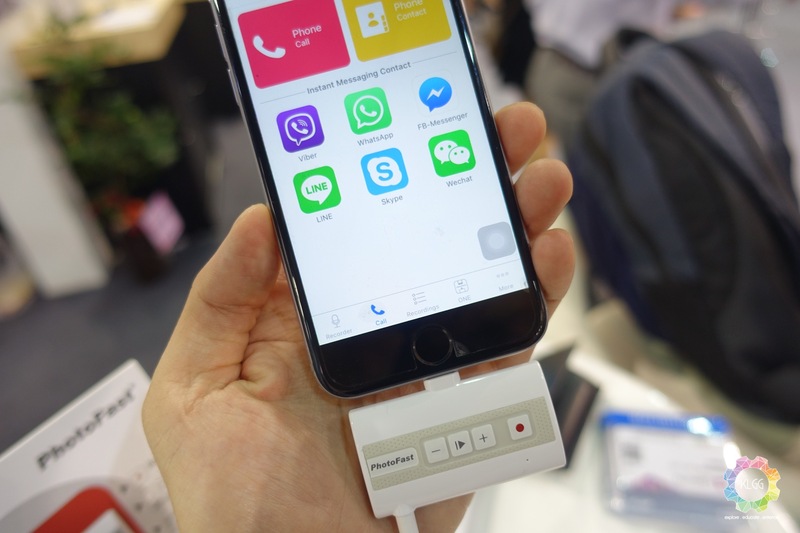 PhotoFast will begin selling the Call Recorder in Taiwan beginning June, it retails NTD$3,799 (RM540) and the company intends to introduce this product to the Malaysian market later this year.